Rescued from an icy mountaintop by a Delta operative, Melissa Moore has never found a challenge she can't conquer. Not only will she make Delta Force, she will be the best female warrior in the unit, and woe to anyone who says otherwise. Richie Goldman is Bond's 'Q' turned warrior. A genius about everything except women, he takes point on the team's most dangerous mission yet. 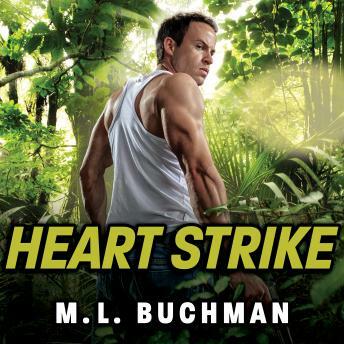 When the Delta Force team goes undercover in the depths of the Colombian jungle, surviving attacks from every side requires that Richie and Melissa strike right at the heart of the matter . . . and come out with their own hearts intact.